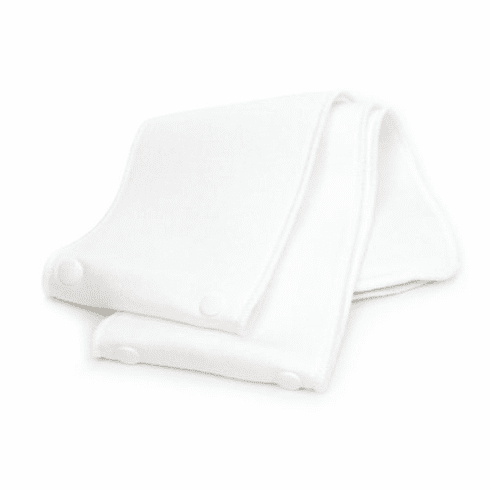 Bumkins Snap Inserts are made from 2 plies of our soft, breathable cotton and bamboo rayon blend. The extra long insert is meant to be folded in half to create a 4 plies of absorbency and have a quicker dry time. The inserts feature snaps in the center to attach to Bumkins Snap-In-One or All-In-One cloth diapers. Each insert measures 26"L x 4.75"W when fully extended and 13"L x 4.75"W when folded in half.